Welcome to Big Motoring World Jobs. Here you can view all the latest available roles at BMW and Mercedes specialist, Big Motoring World. 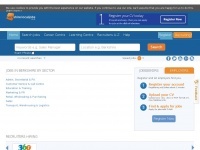 Berkshirelocaljobs.co.uk - Jobs in Berkshi­re - Search Lo­cal Berkshi­re Jobs here. ..
Bloggingalong.co.uk - Blog­ging Along in his own Words, World and Ramblings - ..
Cargiftworld.co.uk - Car Gift World - car and moto­ring rela­ted gifts, ..
Bankingjobsuk.co.uk - Ban­king Jobs UK : Job Search & Recruit­ment For UK ..
Berryrecruitment.co.uk - Berry Recruit­ment - Dri­ving Jobs, Techni­cal, IT, ..